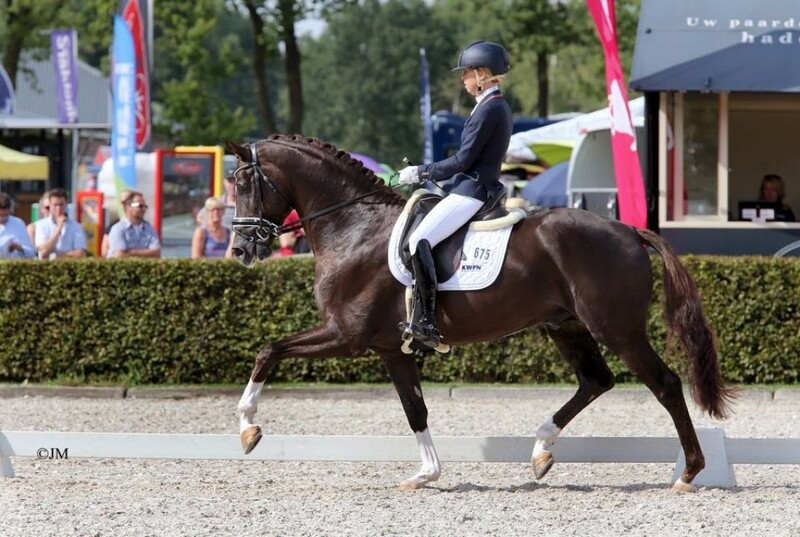 Ferguson brings new blood into the Dutch dressage horse breeding. 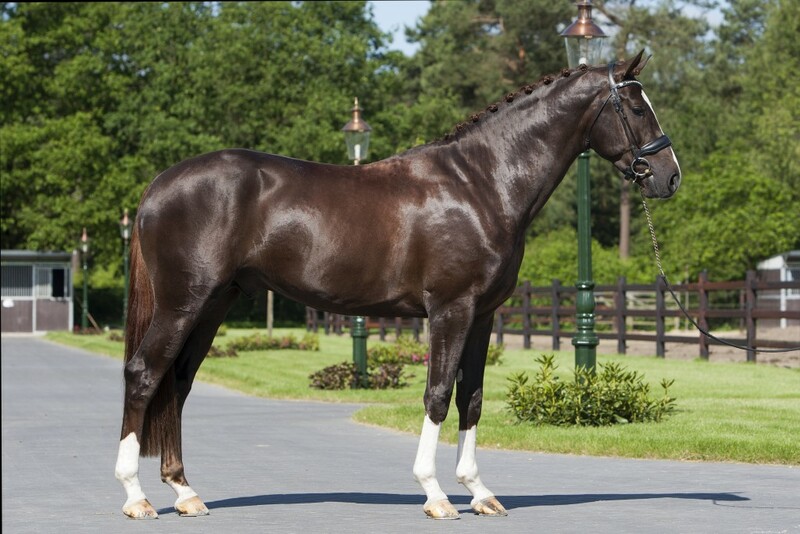 He received his Hanoverian stud certificate in Autumn 2013. 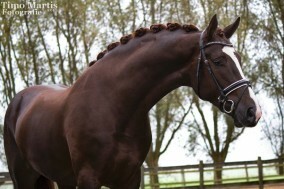 Since then he has very successfully completed the KWPN performance test and is now also KWPN approved. He received two nines for suppleness and balance. Ferguson has a fantastic build and his attitude is superb. 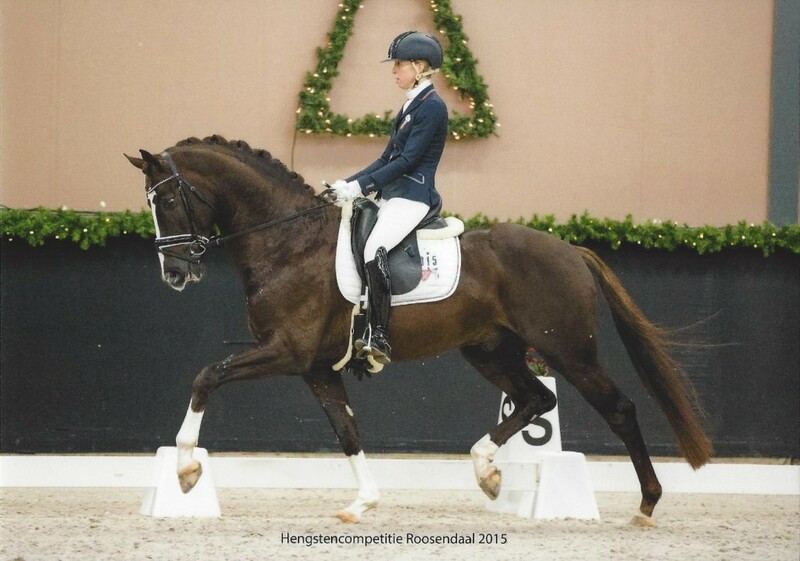 His sire Floriscount (Florencio x Donnerhall) was born in 2005 and is currently already performing at Small Tour-level. Ferguson’s beautiful color gives away the fact that his pedigree is strengthened Donnerhall blood. He is a wonderful dark chestnut. 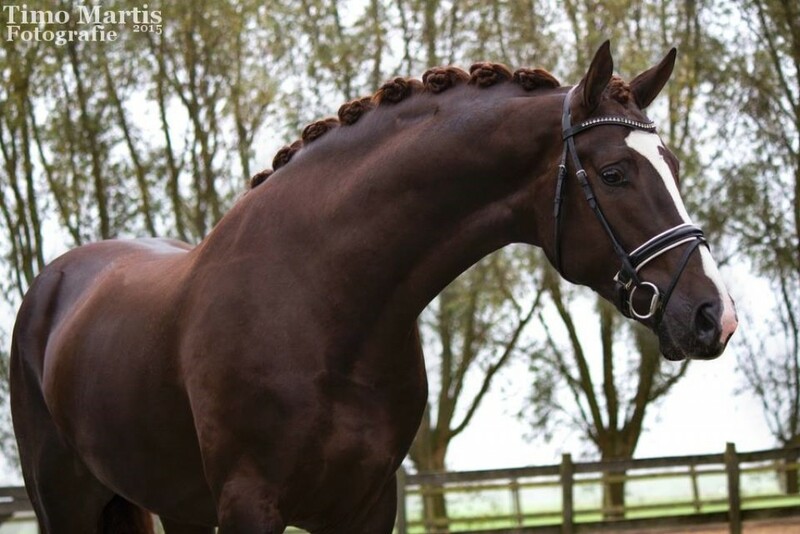 The direct damline that is strengthened with Lauries Crusador has produced several S-dressage horses. 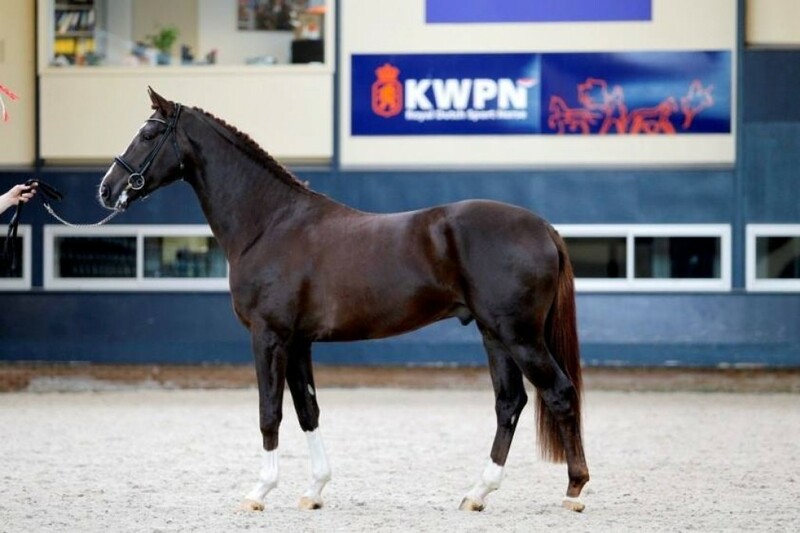 The KWPN report states that Ferguson can broaden the blood spread in the breeding of dressage horses. 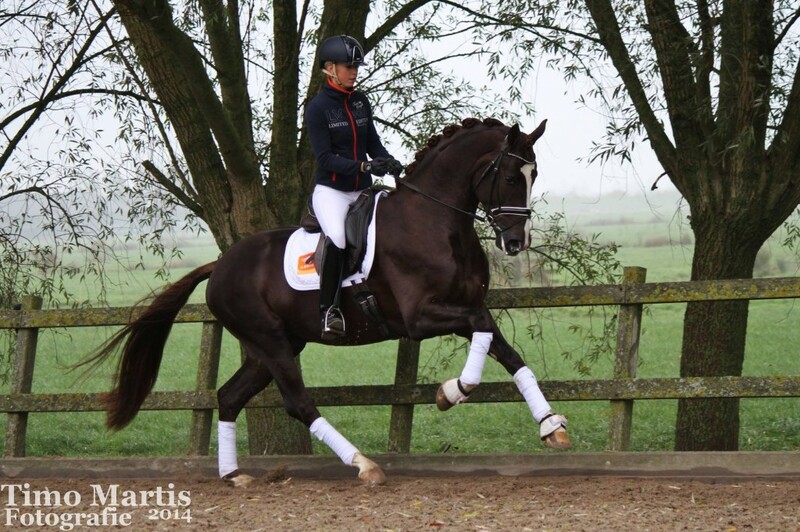 He can also contribute movement technique and correct use of the body to dressage horse breeding. Ferguson is on the brink of a splendid sports career. 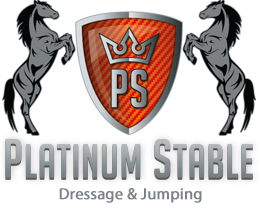 His canter is characterized by its long stride and scope. With his powerful quarters and beautiful front leg action he ensures that all eyes are focused on him. Ferguson was in 2015 the stallion at the Pavocup.